Jay Gudermuth, of Jay's Guide Service out of Heber Springs, specializes in trout fishing the Little Red River for Rainbow, Brown, Brook and Cutthroat Trout. He fishes the 29 mile stretch below the John F. Kennedy Dam. "Here's what we do. We put in at one of the ramps on the Little Red River. Water level and how the fish are biting determine which ramp we put in at. 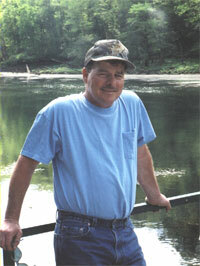 If the water is flowing well, artificial lure's can be used but live bait fishing is usually the best. During a the half day trip there are usually enough fish caught to make everyone happy. 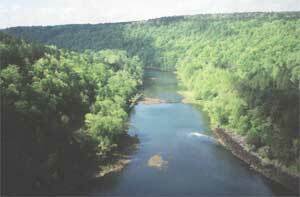 "As far as lodging goes, there are resorts located right on the river. There are also hotels in town and around the lake. Please call for more info. "The only things you'll need for your trip are a fishing license with a trout permit. Other items that would be helpful to bring along would be a camera, sunglasses and a hat."